This product is for a full Pokemon punchout counter sheet. 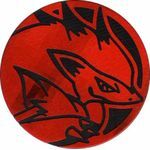 This product is for a Red Zoroark Coin. 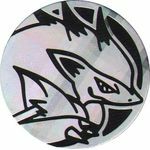 This product is for a Silver Zoroark Coin. 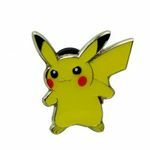 This product is for a Pikachu-EX (XY) Pin Badge. 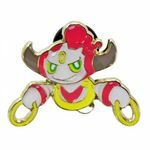 This product is for a Hoopa-EX (XY) Pin Badge. This product is for a Mega Charizard Y (XY) Pin Badge. This product is for a Mega Charizard X (XY) Pin Badge. 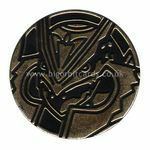 This product is for a Mega Lucario (XY) Pin Badge. This product is for a Genesect Coin. This product is for a Mega Rayquaza Coin. 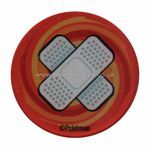 This product is for a single plastic Burn Token. 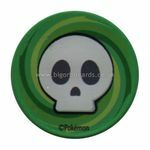 This product is for a single plastic Poison Token.